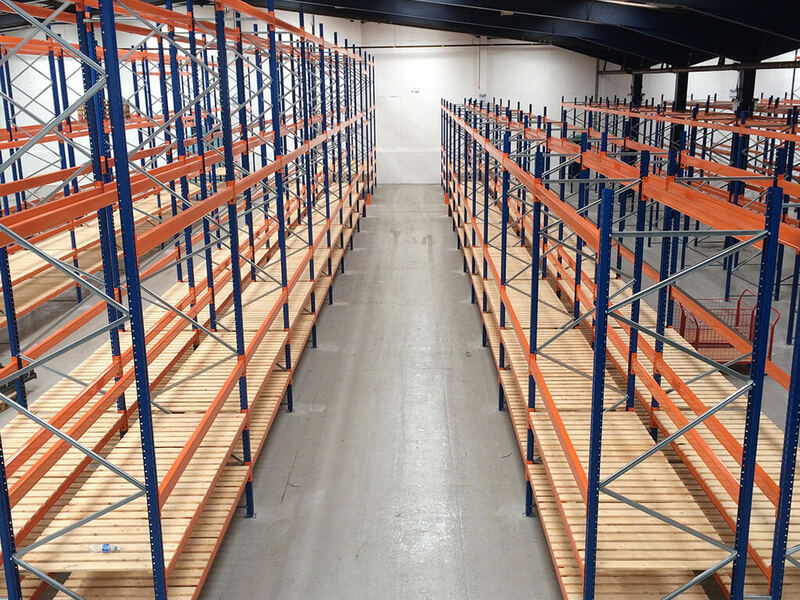 If your floor space is limited, then narrow aisle pallet racking could be the solution. An aisle width of around 1.8m means floor space is much better used, often approaching double the density of standard aisles. 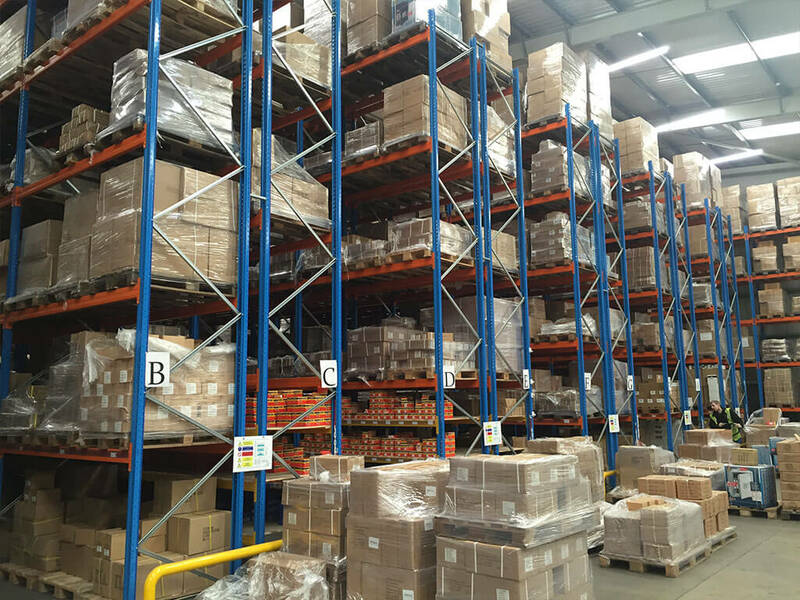 Offering maximum storage capacity and fast access to every pallet, the main advantage is the combination of fast order-picking and optimal use of space. 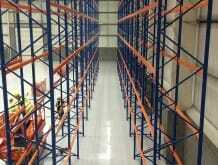 Offers the best configuration for maximum storage density and efficiency. 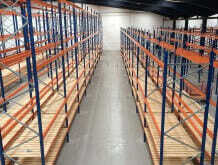 Variable heights and depths of shelving and height-adjustable supporting beams ensure you have maximum flexibility. 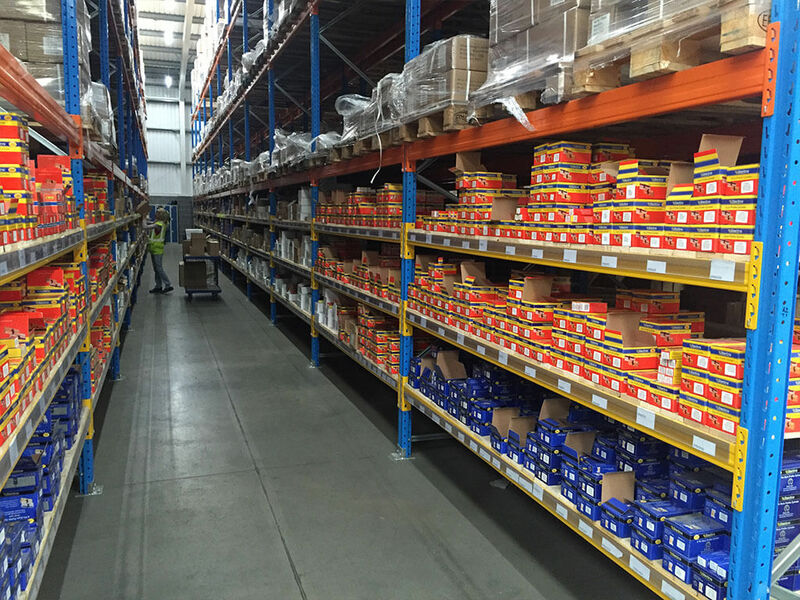 VNA fork trucks can help manage your stock rotation. The initial cost of the equipment is usually offset against the longer-term space and efficiency savings that the system produces. Specialist Very Narrow Aisle (VNA) forktrucks or cranes are used with this system, but they can lift higher, work faster within the aisle and operate with greater precision, accuracy and efficiency than standard trucks. The VNA trucks have two standard means of guidance – either by floor-mounted rails or by wire embedded into the slab, which the truck picks up on. 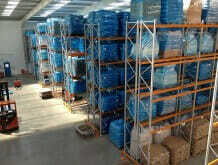 If wire is used, it can improve access to the pallet at the floor location. 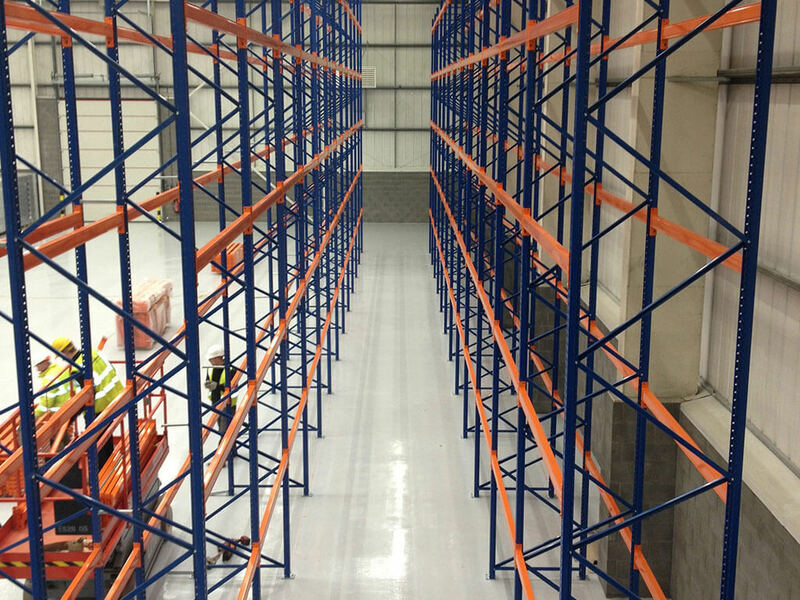 The risk of rack damage due to collision is reduced, as are maintenance costs – and pallets can only be reached by the VNA equipment, which helps to protect the security of your stock. 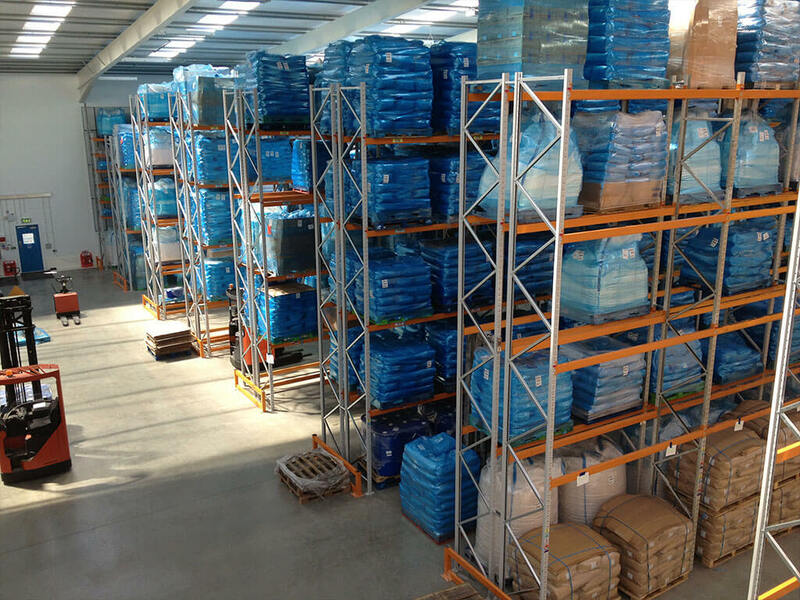 Save money by stacking pallets close and high – and utilise your space much more effectively. Maintenance and damage costs are minimised. Easy 100% access to all pallets, at whatever level they’re stored. 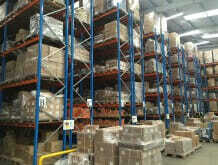 VNA forktrucks can help manage your stock rotation. The initial cost of the equipment is usually offset against the longer-term space and efficiency savings that the system produces. Good for when you have pallets of a uniform size and in warehouses with a high roof and a flat floor.